Indeed, things are really getting better with our network providers here in Nigeria. Recently, Airtel started to dash out 1GB to its customers for just N100, now MTN has decided to follow suit by launching something even much better. MTN is not offering the usual 1GB like Airtel, they are introducing 3GB of data for just 300 naira. How can I subscribe for the Weekend plan? 1. To subscribe, make sure you have a minimum of N300 (three hundred Naira) in your MTN sim. 3. Select/Choose the second option by typing 2 and tapping the send button. If you are looking at having a weekend with some more downloads, surfing or data to take you through, the mtn 3GB for N300 data plan might be the best. >> New MTN BBLITE 5GB Plan Via Simple Android Server. 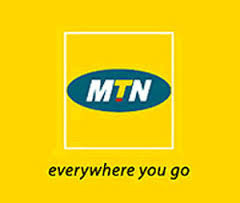 Related Posts: Data Plans Tips., MTN Tips. Labels: Data Plans Tips., MTN Tips.